The great American southwest is considered by many as a place of extremes, ancient people, spirits and legends that even today, inhabit the region. 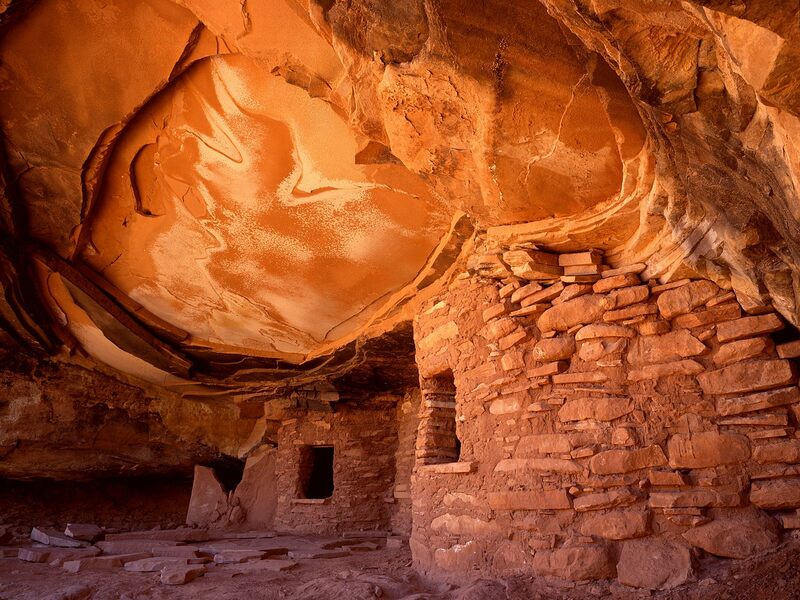 Thousands of years ago, an ancient culture flourished in the region and left amazing footprints in the sub-American continent, giant cities, dwellings in the cliffs and ceremonial chambers called kivas, were found, and all of them belonged to the Anasazi. Even today, there are people who firmly believe in these stories, and that the spirits of this ancient culture still inhabit the lands. Today most of the world’s population lives in cities surrounded by a man-made environment. But many still believe in another world, full of spirits and ancient magic, a world that can be reached through mystical experiences and legends passed on from generation to generation. But how real are these stories we hear about? The region called “Four Corners” well-known by the confluence of four states: Arizona, Utah, Colorado and New Mexico is indigenous to the land of the ancient Anasazi and other great ancient cultures. Even thought these ancient cultures died long ago, their spirits are still a powerful presence in the region, one that many are able to feel. In 1897 a rancher looking for cattle that had strayed from a herd, made a surprising discovery: the ancient cliff dwellings in Colorado. The spectacular buildings and artifacts were tangible evidence of an advanced civilization that had lived in the area and disappeared. In the following years, more great discoveries were made as similar structures were found in Utah and Arizona. The incredible discoveries baffled researchers and historians, buildings that had never before been seen or imagined in the region were found, buildings that support of up to five stories were discovered, something that was considered unusual for todays archaeologists. One of the structures at the archaeological site, which later would be called Pueblo Bonito, contains over 650 rooms. At Chaco Canyon, researchers discovered a dozen of huge complexes that include more than 300 perfectly circular structures. But just what was their purpose? The walls are covered with paintings and mysterious inscriptions. The discovery of Chaco Canyon is an unprecedented finding in America, researchers firmly believe that nothing found can be compared to the might of Chaco Canyon. Archaeologists were amazed by the wealth of pottery, weapons, tools, jewelry; and every single piece of art found in the vicinity. Interestingly, 20 million years ago, Chaco Canyon was the center of a large Sea. After the sea withdrew, the only thing that was left was a parched desert. Without water, the primary element for life, how could this ancient civilization have flourished in the region? And most importantly, why would they build their cities in such a “lifeless” place? This is just one of many disturbing mysteries that archaeologists have not been able to answer. The canyon walls were the primary source of stone for their construction, but, where did the wood come from? According to archaeologists, this incredible engineering process would have needed over 250,000 trees. If you travel to Chaco Canyon today, you will notice an absolutely desolate landscape. Samples taken from the wood indicate that the material originated form elsewhere in the region, some of the pieces of wood originated from distances of over 50 miles. For the cutting and carving process, the ancient builders only used stone axes. The ancient people of Chaco did not have carts or horses to transport the timber, so how did they transport their building materials? 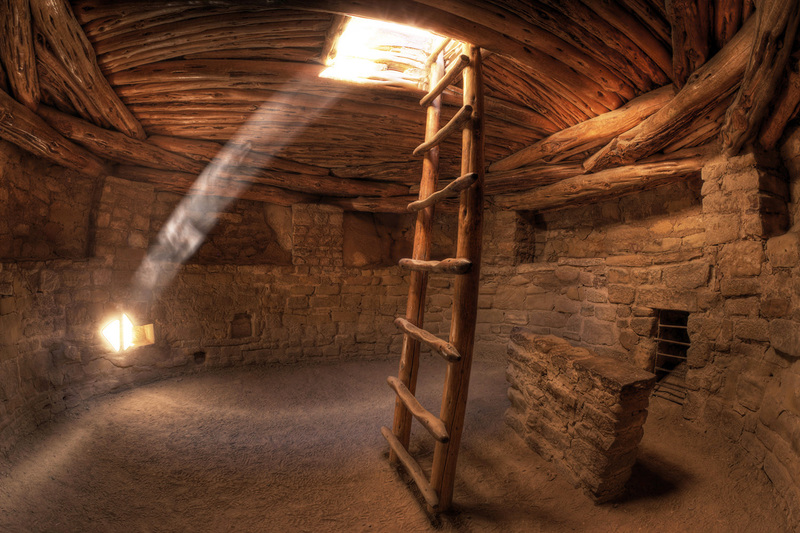 Archaeologists have placed the Anasazi between 900 and 1250 AD. There is no doubt that the residents of these incredible ancient structures are long gone, but what happened to them? Why did they vanish like many other great civilization in the Americas? Was it a natural disaster that made them leave their home? And if so, where did they go to?